You can use Veeam Agent for Linux to create backups on cloud repositories provided to you by a Veeam Cloud Connect service provider. To do this, you must connect to the service provider and point the backup job to the cloud repository. To connect to the service provider, you can use credentials of the tenant or subtenant account that your provider or backup administrator communicated to you. 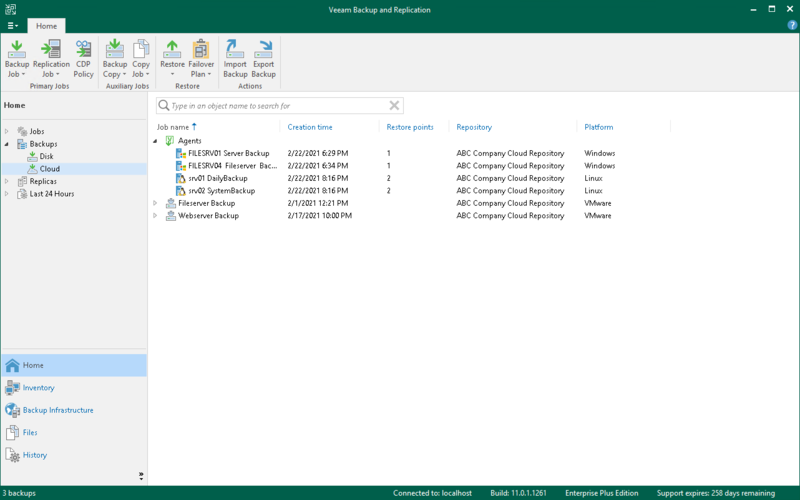 To learn more, see Veeam Cloud Connect Repository Settings. Backups created with Veeam Agent for Linux are available under the Backups > Cloud node in the Home view of the Veeam Backup & Replication console deployed on the tenant side. 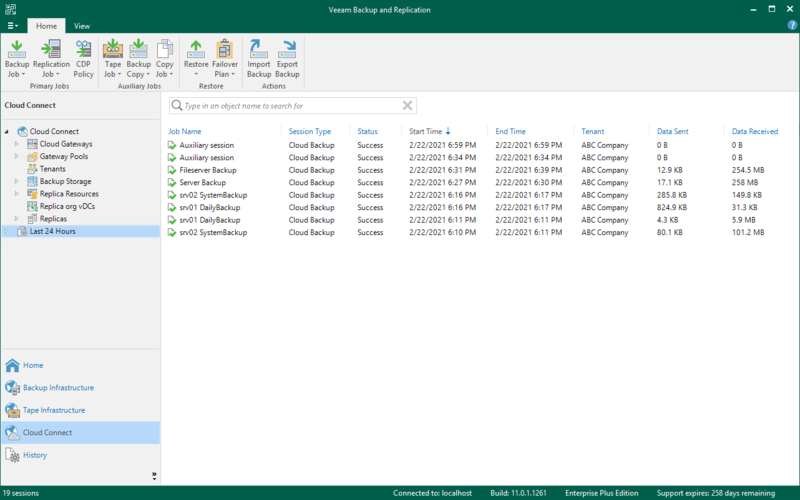 The backup administrator working with Veeam Backup & Replication on the tenant side can manage Veeam Agent backups created on the cloud repository and restore data from such backups. To recover data from a Veeam Agent for Linux backup, you can export disks of the Veeam Agent computer as virtual disks. To learn more, see Exporting Disks. The service provider can view information about backup and restore sessions performed by Veeam Agent users within the last 24 hours period. The list of sessions is available under the Last 24 Hours node in the Cloud Connect view of the Veeam Backup & Replication console deployed on the service provider side. The service provider cannot perform restore tasks with Veeam Agent backups that are stored on the cloud repository.